The trees and shrubs in your yard are critical in creating the overall impression of your home. They’re important in every yard’s landscape no matter how big or small. Since trees live a lifetime (or more!) buying a tree to plant can be intimidating. That’s where Gateway Home & Garden Center can help. Our experts will provide advice on which are the best trees for your landscape. But we’ll go one step beyond that – we’ll explain how to care for them once they’re planted. Nearly every yard has room for small trees, and they add character to the landscape. There is always room to improve your yard by adding trees and shrubs that compliment your home and that make your yard an inviting place. 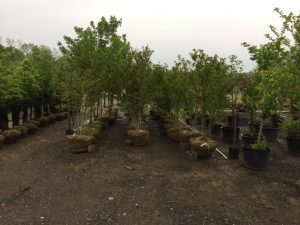 At Gateway Home & Garden Center, we have a large selection of Gainesville trees and shrubs for sale including beautiful Japanese maples, conifers and flowering trees and much much more. The best way to start is to come on in to Gateway Home & Garden Center where our well-trained staff will walk you through the choices. 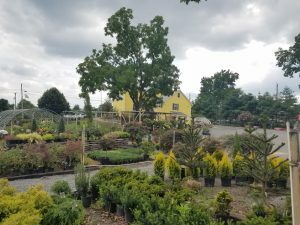 You can browse our rows of trees and greenhouse to find the perfect trees and shrubs for your landscape.